"Octagon" is from the Greek ὀκτάγωνον oktágōnon, "eight angles", meaning - Infinity, Rebirth, Transition. 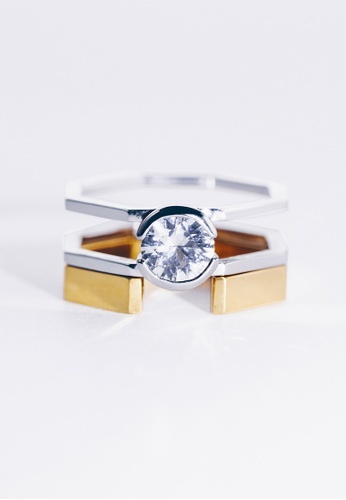 This pair of rings has various wearing ways, can be transformed and merged into one single ring symbolising the concept of "Two becomes one"
This item is sold by Paradeisos Jewellery and fulfilled by our delivery providers. Can't find Acropolis Octagon Two In One Natural White Sapphire Pair Ring in your size?